Amelia Green was honored as a NJCAA 2012-2013 Superior Academic All-American. Superior Academic Achievement Recipients must earn a cumulative 3.80-3.99 GPA to be honored this level. 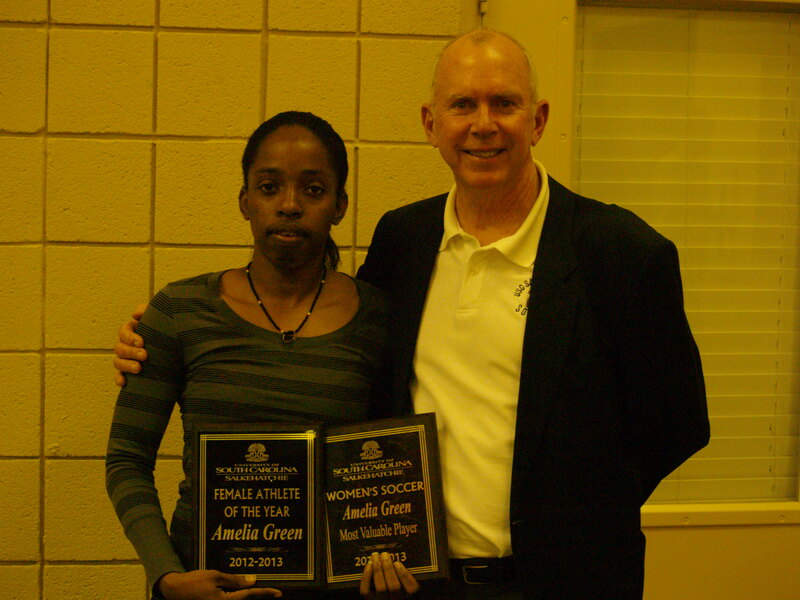 Amelia was also awarded Female Student Athlete of the Year by USC Salkehatchie. Green will be attending South Carolina State in the fall.